We had a very busy September, not least because London Design Festival was on. The annual event brings outstanding design from all corners of the world to all corners of the capital – you can find yourself flitting from deepest East London to obscure parts of West London and all that’s in between for days on end. London being London, the business of high art, design and fashion is going on at its usual fast pace festival or not. We thought we’d share an assortment of things that have turned our heads lately. 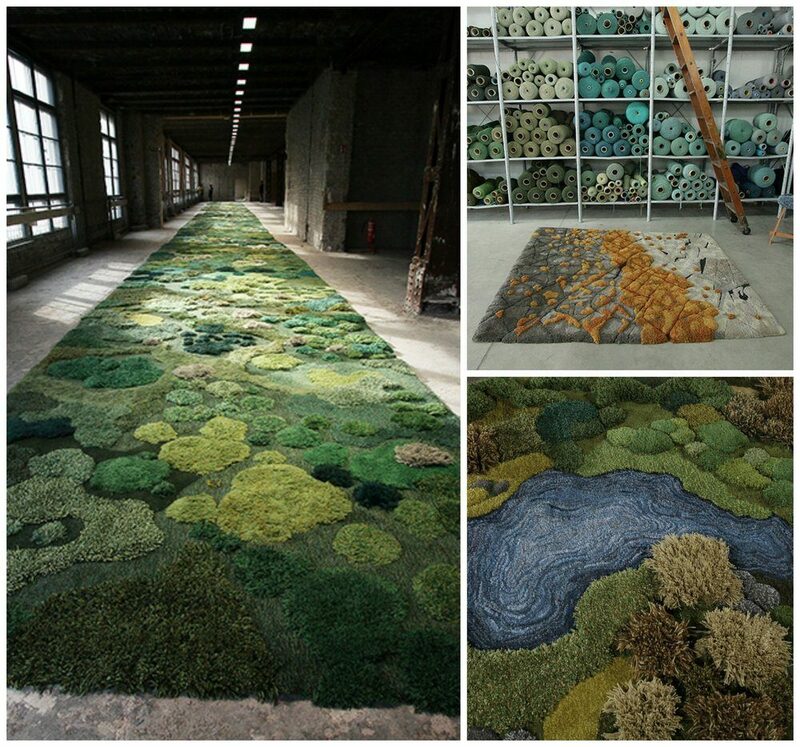 Argentinian artist Alexandra Kehayoglou recently told the Evening Standard, “when you take off your shoes and walk on a rug it’s very sensorial.” This is surely at its most heightened in her own signature carpet work – ‘tufted landscapes’ that are inspired by nature and incorporate mossy mounds richly woven in a spectrum of green yarns. 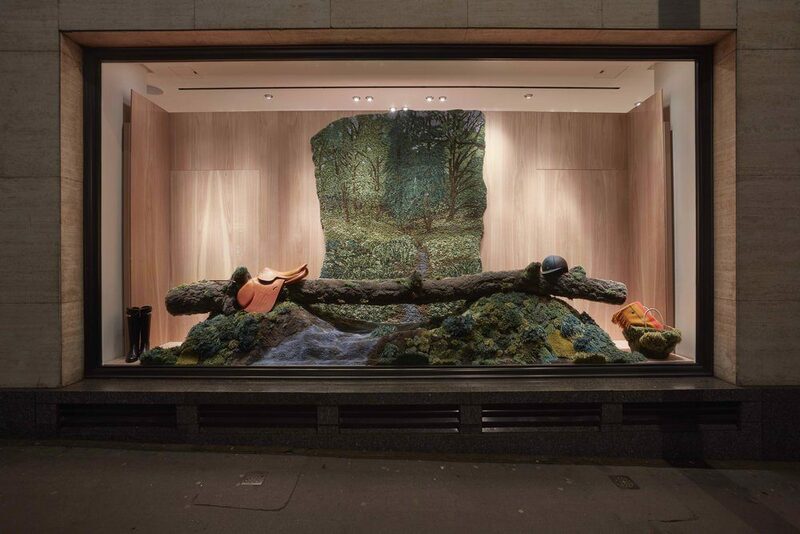 The artist, who comes from one of Argentina’s most famous carpet making families, made four window installations for Hermès with her 10-strong team in Buenos Aires – she based the works on the French fashion house’s theme for 2016, Nature at Full Gallop hoping to recall the feelings of a playful childhood within nature. She headed to Hampstead Heath to inspire the designs, enjoying getting lost in the far corners of the unspoilt and wild green space, and used over 100 rolls of yarn to create the finished work, entitled Locus Amoenus – or pleasant place. Kehayoglou’s previous commissions include her Magic Carpet catwalk for Dries Van Noten’s SS15 show, which later travelled to Hong Kong then Berlin to be exhibited. 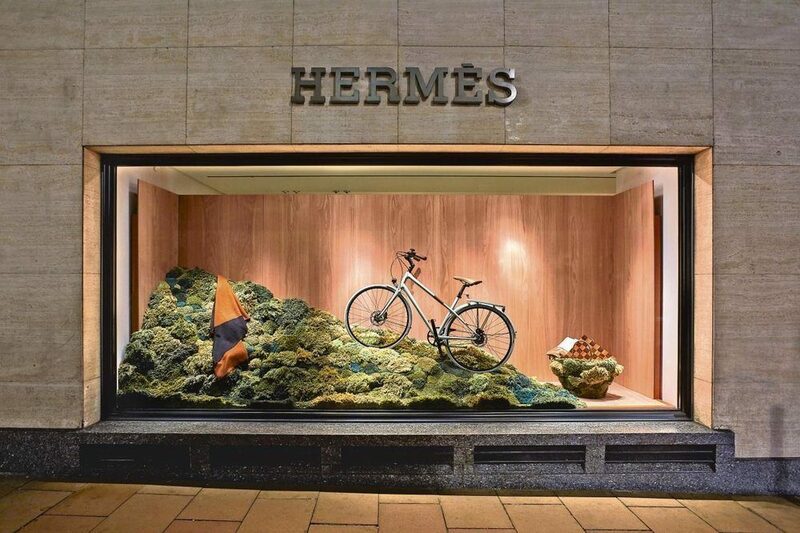 It’s a privelage to have her original, poetic and witty work in London and we think the Hèrmes windows are a must-see. Visit until 7 November. This exhibition of wall hangings ran for too short a time – the duration of the London Design Festival – at tile/paint/fabric company Bert & May’s inspiring showroom on Vyner Street, though happily you can still buy the (limited edition) pieces. 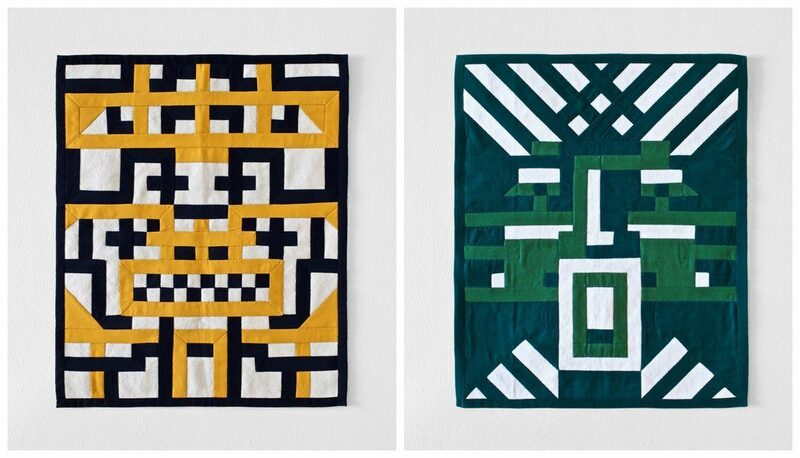 The brainchild of former Creative Review journalist Roanne Bell, under the banner of Rotate Editions, the collection of 12 textiles marries the work of two traditional Egyptian tent-making ‘Kheyameya’ artists, Ashram Hashem and Hassan Omar (Yahia), with four European graphic artists – Anthony Burrill, APFEL, Damien Poulain and Darkroom’s Rhonda Drakeford. 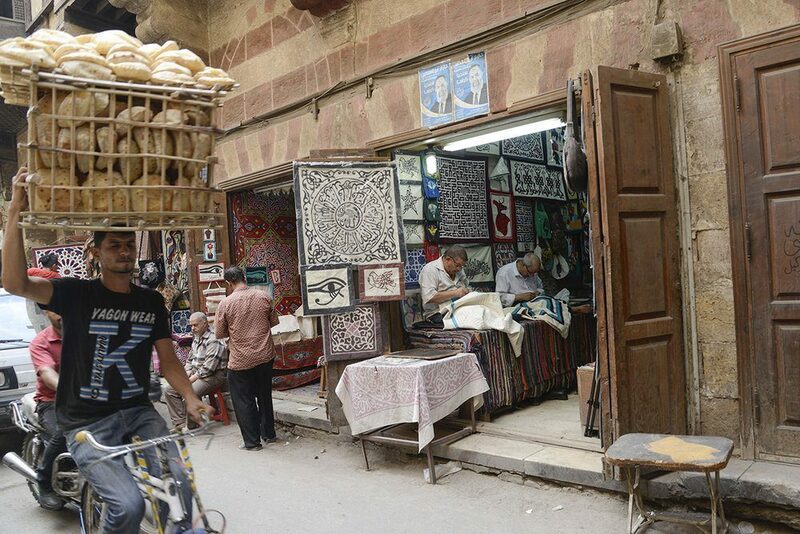 Kheyameya makers originally crafted large-scale appliqué pieces to line ceremonial tents for weddings, funerals and religious festivals but the rise of cheaper, imported factory-made pieces threatens the ancient craft tradition with cheaper and less beautiful alternatives. 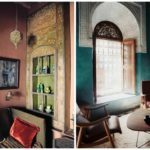 Roanne has sought to shine a light on the art form by giving contemporary artists the chance to create their own kheyameya, working from a given palette of colours to create their designs. Their thoughtful responses include reworking ariel views of the pyramids at Giza to using Arabic calligraphy as a basis for pattern. Hashem and Omar crafted the results into finished textiles, painstakingly mapping out the designs in fine needlepoint holes onto paper that is later attached to the back of the fabric works before coloured panels are hand stitched into place – the artists often use their local Mosque to lay out and work on the large-scale fabrics. This is a wonderful project that highlights and supports a dying textile art form. Look out for future Rotate Editions projects here. We’re thrilled to continue our relationship with Marc Péridis’ progressive Soho gallery, 19 Greek Street. 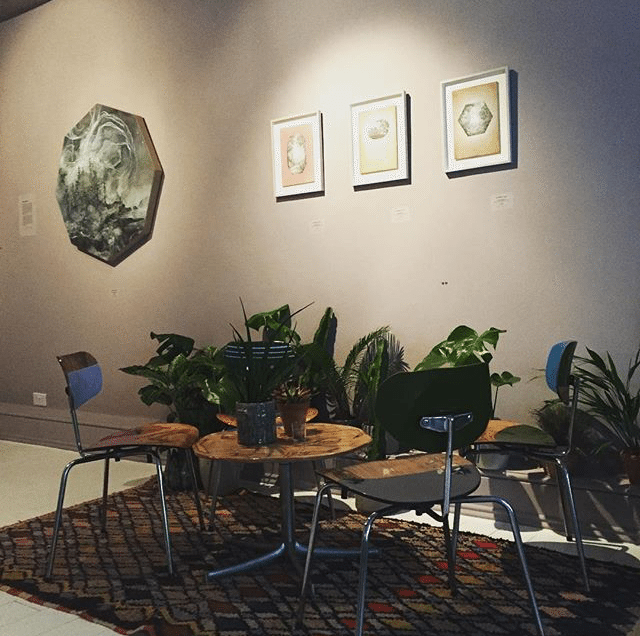 For the annual design festival, the gallery unveiled Collector’s Club, a curated display of product and furniture designs in collaboration with the art from bo.lee gallery’s Petrichor exhibition – its name referring to ‘the smell of the earth after rain’. 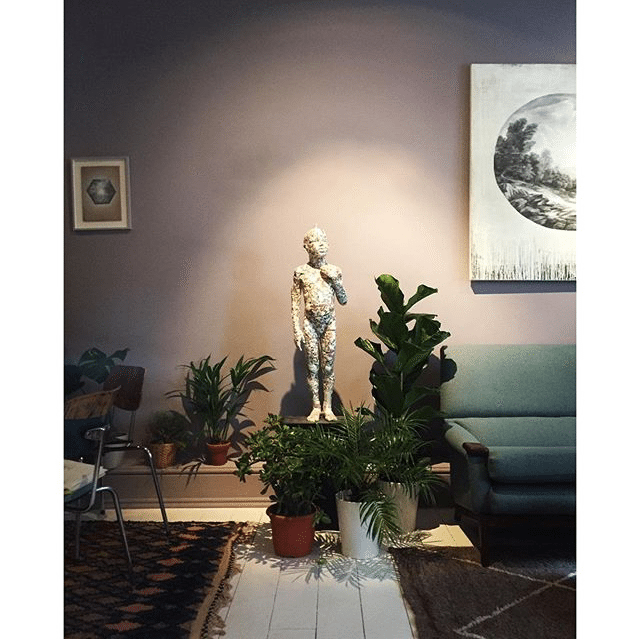 Altogether, the works were styled over the five floors of the townhouse to explore themes surrounding human interaction with nature and environment. 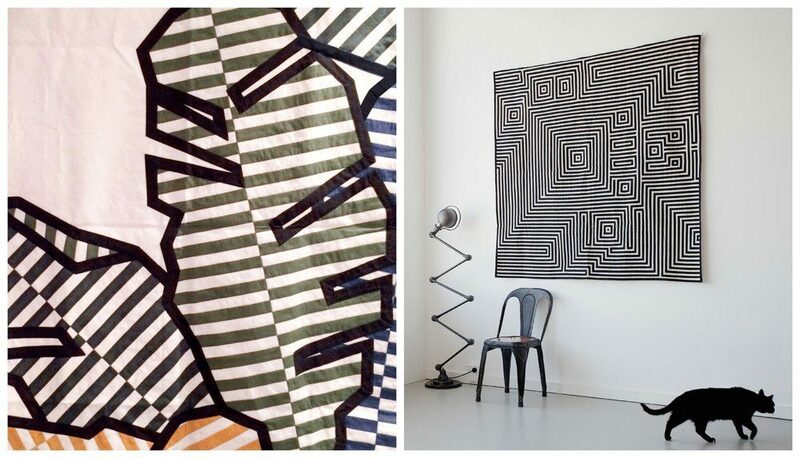 There were some great juxtapositions at play between art and furniture. Artist Rebecca Louise Law’s dramatic overhead floral installations lent some of the rooms an ethereal feel, while the portrait paintings of Wanda Bernardino, each featuring figures with their faces blanked out, added an eeriness. 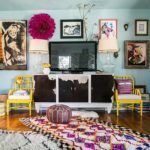 This was offset by handcrafted designs by the likes of Noam Dover and Yoav Reches, plus witty and sustainable furniture by Nina Tolstrup and Paratelier. 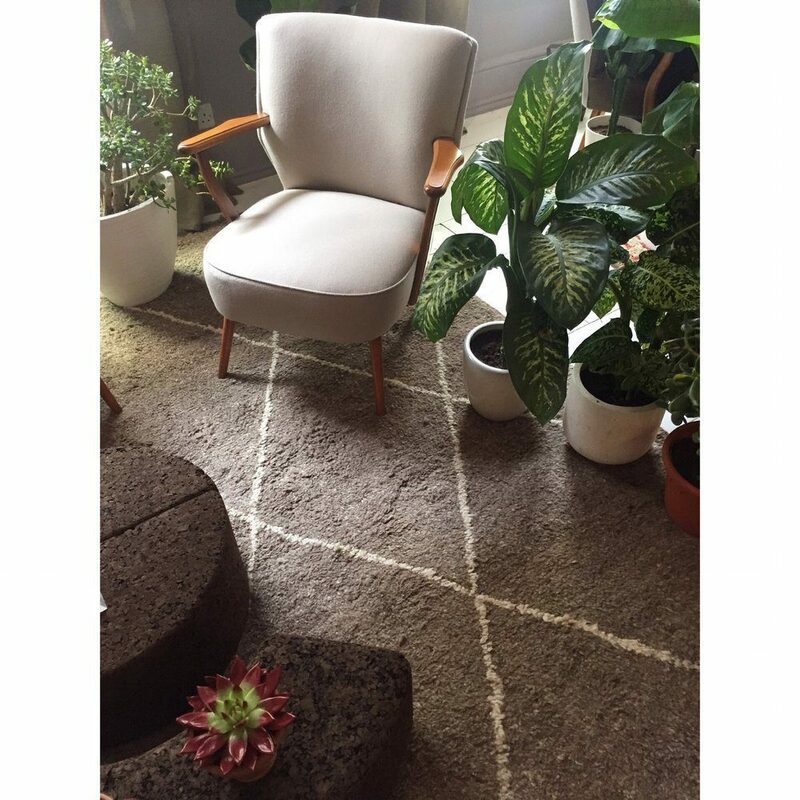 Our carpets, including Boucherouites and Beni Ouarains, featured in the first floor Design Café, helping to create a cosy hideway for visitors wanting to stop for a rejuvenating herbal tea.